Her Lovely Heart: Don’t Wait For Opportunities, Create Them. Most of us spend a life time passively waiting for the right opportunity to come along. We wait for an opportunity to be offered a better job, to make more money, for the right woman or man, or to start something new. Does the opportunity ever come? Sometimes it does, but sometimes it doesn’t, or more to the point, not exactly as we imagined. For example, it might come at a time that doesn’t appear right for us. We might not recognise it in the form it presents itself to us. Or when it eventually appears we might not think we are ready for it due to fear. Often, it is not a matter of creating opportunities, but rather becoming aware of them. They are there all the time, in front of us, but we do not recognise them. Seeing them and recognising them requires a change of your mindset. Therefore keep your eyes, mind and heart open to the opportunities that cross our paths on a daily basis. 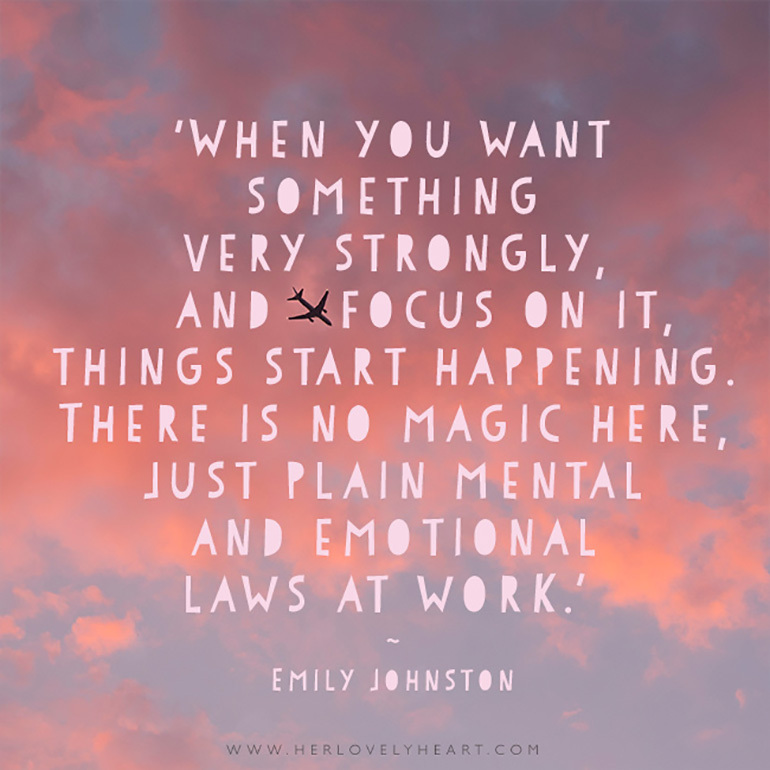 When you want something very strongly, and focus on it, things start happening. There is no magic here, just plain mental and emotional laws at work. Successful people use these laws a lot. Most people use the same laws, but in a negative manner, by constantly thinking and talking about what they don’t want and thus creating it. How to create & recognise opportunities? 1. You need to define what you want. If you don’t know what exactly you want, how can you get it? When you know what you want, you will recognise the opportunities. 2. Visualise your goal as already accomplished. Feel it, and enjoy it. This will motivate and energise you to make it real. When you have motivation, energy and enthusiasm, you’ll spot opportunities that you haven’t seen before. People you meet will sense your enthusiasm, and will open new doors for you. Suppose you want a new job, but you don’t believe you will find one. This attitude will block your mind and hold you back from searching for a job. If you want a new job very much, believe you will find one, and expect to find it, certain opportunities will become available. You might see an advertisement in a newspaper, or a friend might tell you about it. Here is another example. You want to travel abroad, but believing the trip would cost you a lot of money, so you don’t even check the prices. You regard this dream as a non-achievable dream. This attitude will block any chance of traveling. Try instead to awaken a strong ambition, not just a mild wish. Visualise and see yourself traveling, without having any doubts about it. Sooner or later, you will find a deal, a discount, or some other way to enable you to travel, which you can afford. You might also find an opportunity to make more money, so you can travel. If you want to find friends, you’ll create the opportunity by mixing with people, not by staying at home. You can create the opportunity for almost anything with the right attitude and the right thinking. Therefore infuse your life with action. Don’t wait for opportunities. Create the opportunities.